Xiamen Aba Eco-Techonology Co., Ltd is founded in 2009, a professional manufacturer dedicated in garden planters & other plastic products. We are & always strive to offer customers satisfied products with unique & innovation concepts. Xiamen Jingwei Industry & Trade Co.,Ltd is our brother company, mainly engaged in making injection mould & plastic injection products. With our bother company's help, plus our strong R & D dept. support, any of customized plastic products are available. OEM & ODM need is also welcome! 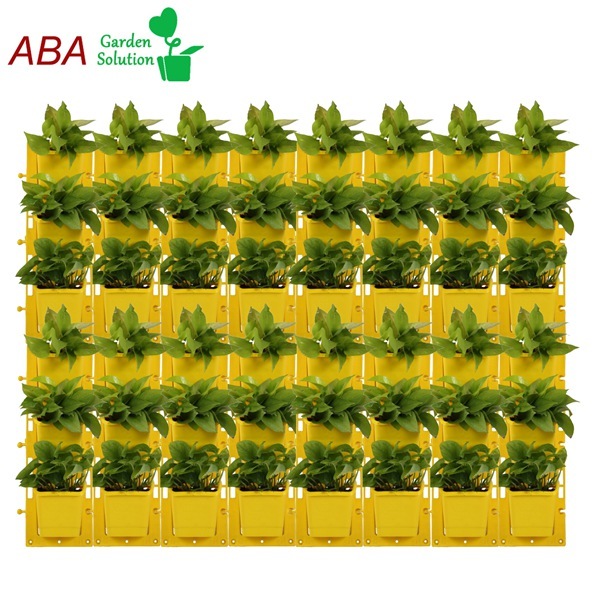 The garden planters are sold to home & abroad, Aba shared over half of the domestic market, ever sold to almost 50 countries in South East Asia, Europe, USA, Latin American, Australia, etc. As owning advanced equipment, strong R & D team, strict quality control system, more & more excellent members, we will provide customers more satisfying before & after service. Besides, our garden planters are durable, practical, eco-friendly, convenient, potentially decorated our garden, home, office, etc, bring very happy customers experience. You'll be warmly welcome to come anytime. Aba's core vision is to create you a green, healthy environment. Looking forward to cooperate with you to create a better world!